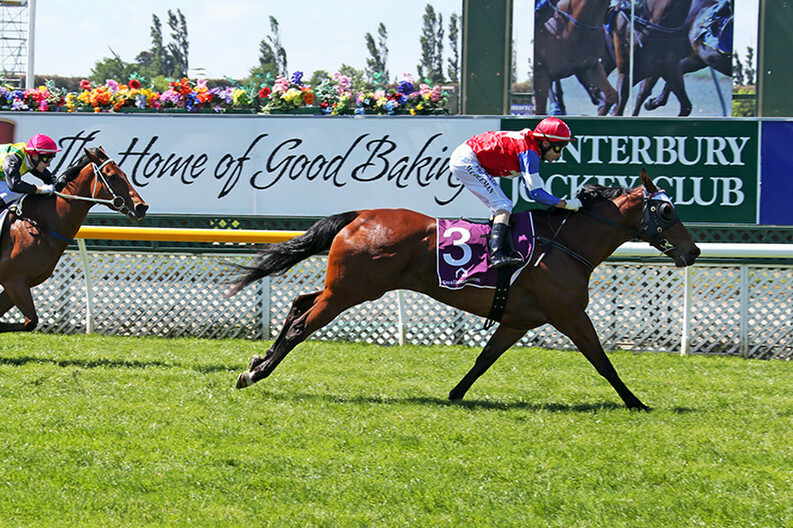 The John And Karen Parsons-owned and trained galloper Kiwi Ida added a second stakes win to her tally when she took out the Gr.3 Valachi Downs Canterbury Breeders’ Stakes (1400m) at Riccarton on Wednesday. The four-year-old mare, who was purchased by her trainers as a weanling for $4,000, settled towards the rear of the field for jockey Michael Coleman and sat three-wide with cover for the majority of the race before she was set alight at the turn to win by two lengths. Coleman, who took the ride on the behest of her regular rider Chris Johnson, was full of praise for the daughter of Squamosa after the win despite a luckless run. “I got there too soon, I got there a mile out,” he said. “The one I was tracking into the corner wasn’t really going much further. “She’s a lovely mare and has a great nature and gives you a good feel, so she’s going to get more black-type along the way. Kiwi Ida’s co-trainer Karen Parsons was also full of praise for Johnson, but said she was far from confident with her charge’s chances mid-race. “I have to thank Chris Johnson, he does all the work with her and he picked Michael Coleman,” she said. 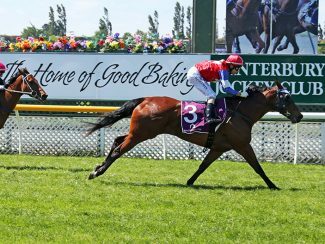 It was Kiwi Ida’s seventh win from 24 career starts and her first stakes victory since winning last year’s Listed Canterbury Belle Stakes (1200m) at Riccarton.